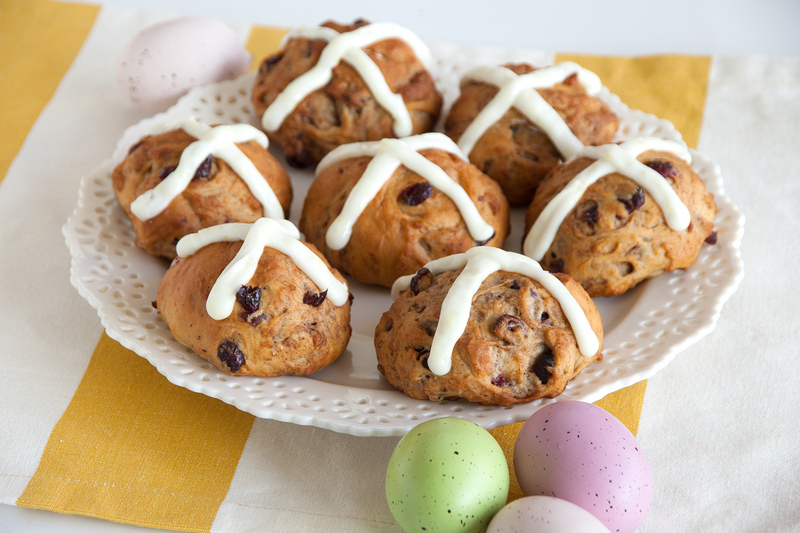 These delicious Hot Cross Buns are the perfect addition to your Easter Meal. Combine rolls and press or roll to flatten. Combine sugar and spices in a bowl. Sprinkle flattened dough with 1/3 of the sugar mixture and 1/3 of the cranberries or raisins. Fold dough over on itself and flatten again. 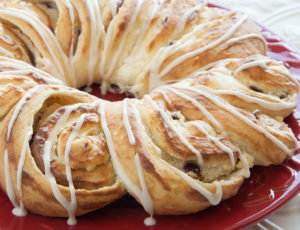 Repeat the sugar and cranberries process and fold over again. Repeat one more time. Knead the dough as necessary to completely incorporate the added ingredients. 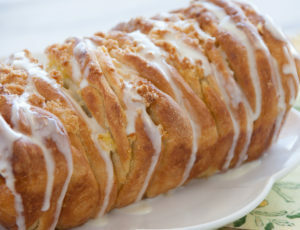 If dough becomes too sticky, sprinkle lightly with flour. Shape into a log and cut into 12 equal pieces. Shape each piece into a ball and place on a sprayed baking sheet. Cover with sprayed plastic wrap and let rise until almost double in size. Remove wrap and bake at 350 degrees F 15-20 minutes or until golden brown. Let cool. 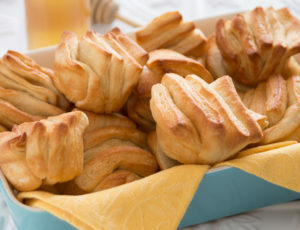 Mix ingredients for frosting and frost rolls. 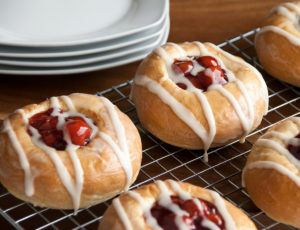 Looks great and pretty easy to make, will have to try these….love rhodes breads,rolls,etc….